WhisperTeach – We develop solutions that make easy for operators to provide consistent results. WhisperTeach uses automation to remove human errors from the process. Lowest cost per device based on: Programming speed, Set up times, High production throughput performance, Extremely reliable platforms, Cost-effective socket design, System and Support longevity. BPWin Software – Feature rich, intuitive and easy to use. BPWin provides complete process control to ensure a quality production programming operation. BPM’s 9th Generation universal programmer offers the fastest flash programming times as well as the widest universal device coverage all in a single programming site. 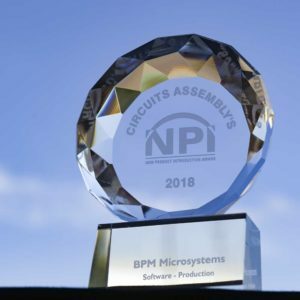 BPM allows customers to efficiently program first articles, offering manual and automated production using the same algorithms and sockets across the entire line – saving both time and money. Same Site. Same Socket. Same Software. Trusted. Proven. Device Programming that Works. Designed to handle whatever comes next. Our 9th Gen Site Technology supports all device technologies on one platform, reducing time to market. Designed for maximum flexibility, 9th Gen uses many Socket Cards and D-Cards from previous BPM platforms. Thousands of companies have taken advantage of our huge socket library. With flash programming speeds two to nine times faster than the competition, we accelerate throughput while reducing costs in sockets, sites, handlers, and labor. 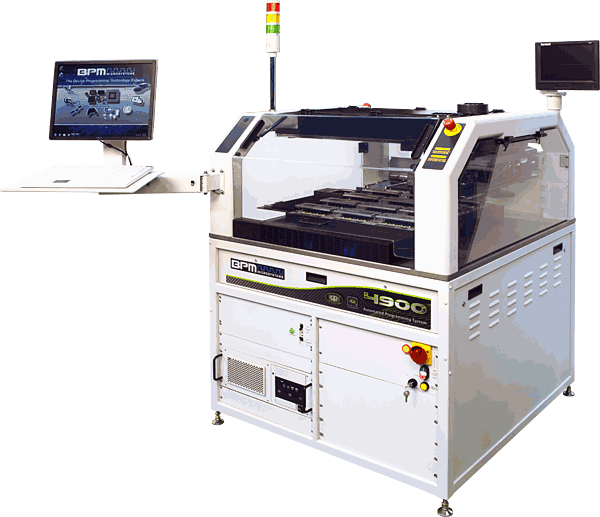 BPM’s advanced patent-pending Auto-Z teach technology eliminates the need for a highly skilled operator to set critical Z-height for pick-and-place functions. WhisperTeach™ offers faster set up times and improved yields! WhisperTeach™ eliminates common Z-height errors such as miss picks, miss place, and socket continuity flaws. New CyberOptics on-the-fly vision alignment system, available on our higher-end systems, maximizes system throughput. With component auto measure and precision alignment components as small as 0402 resistors can be aligned with fine precision. New Raydiance Hybrid Laser Marker combines Fiber and YAG laser technologies to produce High-Contrast Micro Marking of Dynamic Alphanumeric text as small as 0.1mm in size and 2D Codes. Raydiance supports advanced serialization for Cybersecurity, Traceability and Quality Control. New X-Stream Series Tape Feeders provide faster setup and changeover times to maximize productivity. X-Stream Series intelligently advances the feeder on command, providing precise, accurate handling for even the smallest device packages. The controlled tension between the input reel and the feeders support consistent operation even on the smallest and most challenging packages. Advanced CyberSecurity technology offers flexible security solutions for serialization, encryption, key handling, and user control requirements. We offer advanced cybersecurity utilizing an External Serialization Server, Device-Driven Serializing and BPWin API capabilities. 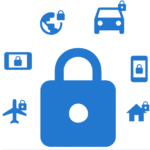 Our flexible solutions support even the most complex security requirements. From simple to complex serialization with robust file encryption, customers implement secure production programming with process control and tractability. BPM Microsystems Software Engineering team can provide professional services to consult, scope and quote a complete cyber security solution. Socket Receptacle Design reduces consumable socket costs. BPM provides replaceable sockets designs wherever possible allowing you to replace just the worn socket, not the entire socket. Bill and Peter started BPM back in 1985 in a dorm room at Rice University (“Bill” and “Peter” are the “BP” of BPM). Their first machine? The EP-1, an E/EPROM programmer. We still build all of our systems right here in Houston, Texas. “Houston Strong” isn’t just a slogan– it’s a mindset that is embodied by the folks who live in this great community. BPM Microsystems designs and manufactures 100% of our systems here in the USA from globally-sourced components. We back up all our Automated Programming Systems with award-winning customer support and product innovation. BPM’s been around over 30 years– you can rely on us to be there for you! Our commitment to providing quality products and service, along with our dedication to customer satisfaction, has been the key to our success. We make it a point to respect our customers by listening to their requests, understanding their programming requirements, and then delivering the best solutions possible. We constantly strive to exceed expectations for affordability, quality, and on-time delivery. 9th Gen: "One Programmer to Rule Them All"
Our 9th Gen Site Technology supports all device technologies on one platform, reducing time to market. Designed for maximum flexibility, 9th Gen uses many Socket Cards and D-Cards from previous BPM platforms. More than 3,500 devices have already taken advantage of our huge socket library and programming speeds of 200MB per second for modern memory devices. With flash programming speeds two to nine times faster than the competition, we accelerate throughput while reducing costs in sockets, sites, handlers, and labor.